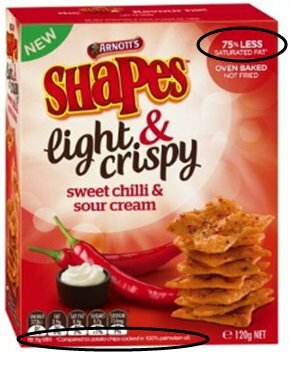 The Australian Competition and Consumer Commission has found claims made by Arnott’s to be half-baked, with the Shapes-maker subsequently fried. The consumer watchdog levelled out penalties amounting to $51,000 for making misleading claims about the fat content of Shapes, in particular its ‘Light and Crispy’ product. The company had claimed on its packaging that the Light and Crispy product contained 75% less saturated fat without specifying what the point of comparison was. The offending packaging. Courtesy of the ACCC. The ACCC found that it would be reasonable to assume on the part of the consumer that the claim was against the regular variety of shapes. However, in teeny-weeny print on packaging it was revealed that the comparison was with potato chips cooked in 100% palm oil. When it ran the numbers, the watchdog found that the Light and Crispy variety only had 60% less saturated fat than the regular version. 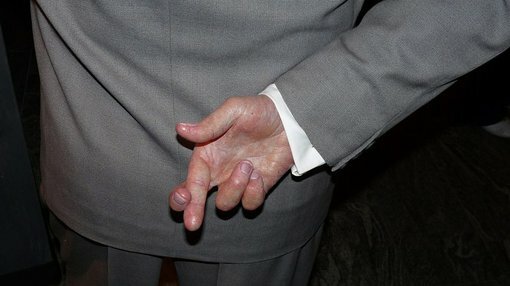 “Consumers should be able to trust the claims that businesses make to sell their products,” ACCC chairman Rod Simms said.